It sounds simple when your wife asks you to do it, but going to Publix and buying "a battery" can be a bewildering experience. There are the common types, mostly C and D cells (flashlight batteries), but there are hundreds of different button and specialty batteries to confuse the issue. Most batteries are 1.5 V per cell, but some are bonded together with other cells to produce a myriad of voltages, sizes, and other characteristics which keep them from being the type that you thought you had bought once you get home and try to fit it in the circuit. It sometimes seems that these troubles date back thousands of years; the Internet brings us reports of a battery discovered in archaeological digs in Iraq. 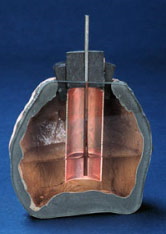 Several sources identified the battery pictured to the left as a model of the type of battery used in approximately 1500 BC: the Baghdad Battery or the Parthian Battery. 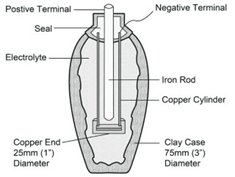 Alas, it appears that the Baghdad battery is a scam; it was in all probability a simple clay cylinder which was a repository for papyrus scrolls wrapped around copper cylinders. Evidently this was the way that papyrus scrolls were stored, and the artifacts found are consistent with this rather less interesting interpretation. Those crazy Baghdaddies! Saddam Hussein followed a long line of crafty individuals who thought nothing of scamming the unwary, and your writer just about fell into it. Indeed, the Baghdad battery occupied a credible place in the history of technology for a while, only recently being debunked. Now you know the truth, and it was your humble writer servant who disclosed to you the facts. And the hits just keep happening! Looking at the articles’ readership response, it was apparent that the discussion had became a flaming contest among those with different opinions about these things being batteries. No, people living in early times probably did not have batteries, but static electricity has been observed throughout human history. Lightning, thunder (generated by the lightning, obviously), sparks from clothing and carpets, and other electrical phenomena were seen and heard although these phenomena were thought to be the special-effects of the choreographers of the gods. That was an idea that stood until the 18th century. At that time, electricity was beginning to be studied by many tinkerers and would-be scientists. 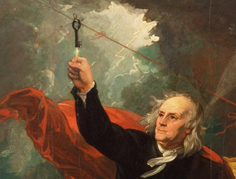 Our country’s own Benjamin Franklin, with his lightning experiments, proved that lightning could travel along kite string; he utilized a key as an electrode, as in the illustrations of his experiment we remember from grade-school science textbooks. p>Alessandro Volta (1745 – 1827) was also among the pioneers of electrical power, and the inventor of the battery - now that we no longer are troubled by bogus Babylonian precursors. He also did a couple of little things like discovering methane (we are left to wonder at his source), and advancing the study of physics. His battery constructs are called Voltaic piles in his honor. Each of the blocks in this Voltaic pile represents a battery cell which produces about 1½ volts. As drawn, the pile would have produced approximately 40 V, which is not exactly a lethal punch, but would definitely be something to think about if an unwary soul were to grab both leads. Volta produced this and many more demonstrations to show off the capabilities of the battery he designed; other scientists followed in his footsteps with their own demonstrations and experiments. Electrical technology remained dependent upon batteries throughout the 19th century, although the methods of producing electricity chemically in battery cells became more and more sophisticated. New materials that could be used to make batteries were explored, in an ongoing pursuit of new materials for batteries. In the beginning all batteries were bathed in liquid, usually strong acid, like this Daniel cell of 1836 - invented by John Frederic Daniel, a British chemist. 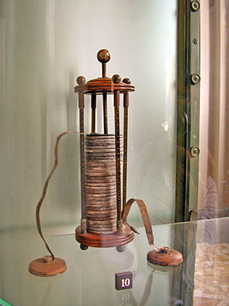 It produced approximately 1.1 V and became the earliest type of battery to be used in the telegraph industry. 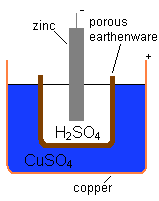 The Daniel battery was a breakthrough in several respects, primarily the separation of the anode (positive) and cathode (negative ) by means of a porous earthenware vessel which allowed ions to pass through its walls. Thus, the anode and cathode could be kept apart to keep the battery from shorting out. It formed a reliable, maintainable battery that could be used in the commercial development of the telegraph. The battery was the object of much study and innovation, appearing in many variations towards the middle of of the 19th century. 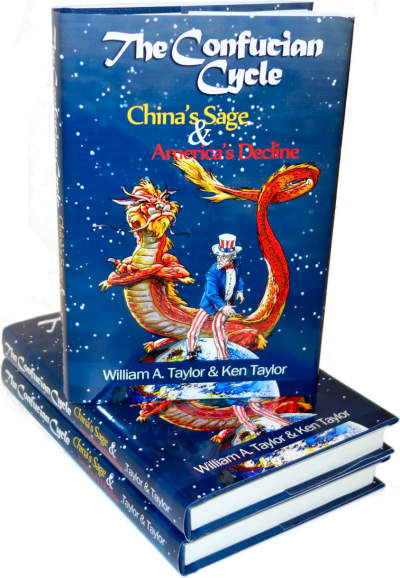 Many of them had serious limitations – poisonous to the air and the immediate environment. Those sanctimonious marijuana mongers at Morgan Law (a Tampa litigator) would have had a field day. All these batteries were permanently depleted when the chemistry gave up its electrolytes. Then, in 1859, Gaston Plante invented the lead-acid battery. It is rechargeable for a large number of cycles, the most obvious reason that we now use that style of battery in our cars. There are some drawbacks to Mr. Plante’s battery, though: it is large, and it is heavy, being called the ‘lead-acid battery’ since those are the materials that produce the voltage. It was among the first of the rechargeable batteries to be produced. As batteries became more sophisticated to manufacture, they became far safer and much less toxic in day to day use. We now regard battery cells as casually safe, and don’t even think about some serious consequences that might come from handling them. Yet even modern batteries are not 100% safe. Recently, in this writer’s Central Florida neighborhood, a child was injured by a battery that exploded after being tossed into a lighted barbecue pit. There probably was no thought given to what would happen to the battery if it were thrown into the fire; one hopes the physics lesson was not a permanent one. All of modern life, however, has its drawbacks. Batteries have become ubiquitous; we find them everywhere and in many of our children’s toys. Seldom do we hear anything bad about batteries. There are some exceptions to this, of course, but we will delve into that subject in a later article.